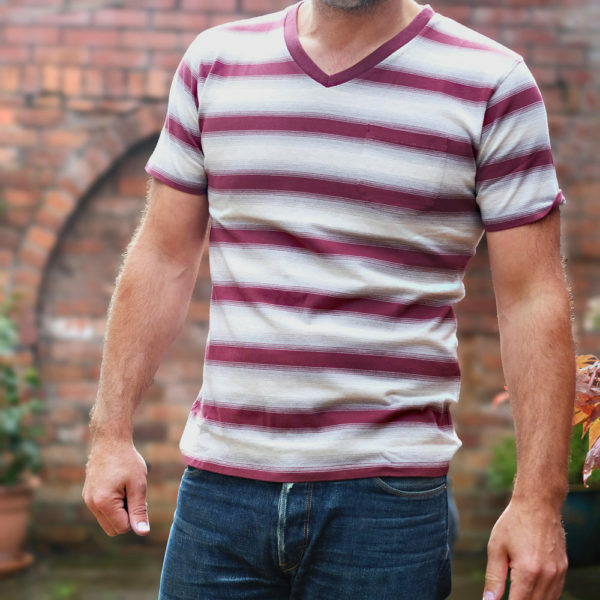 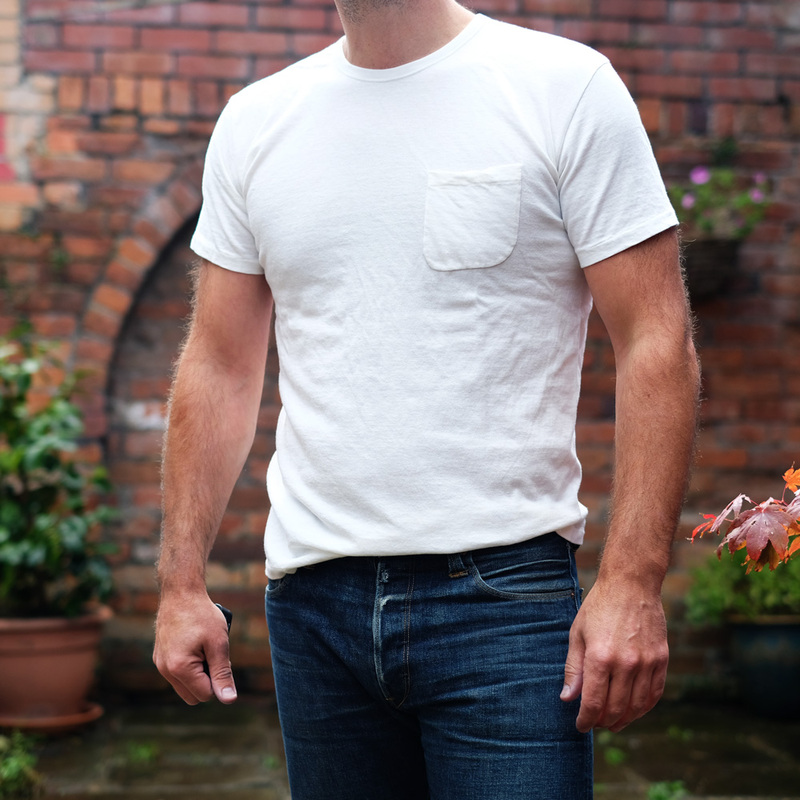 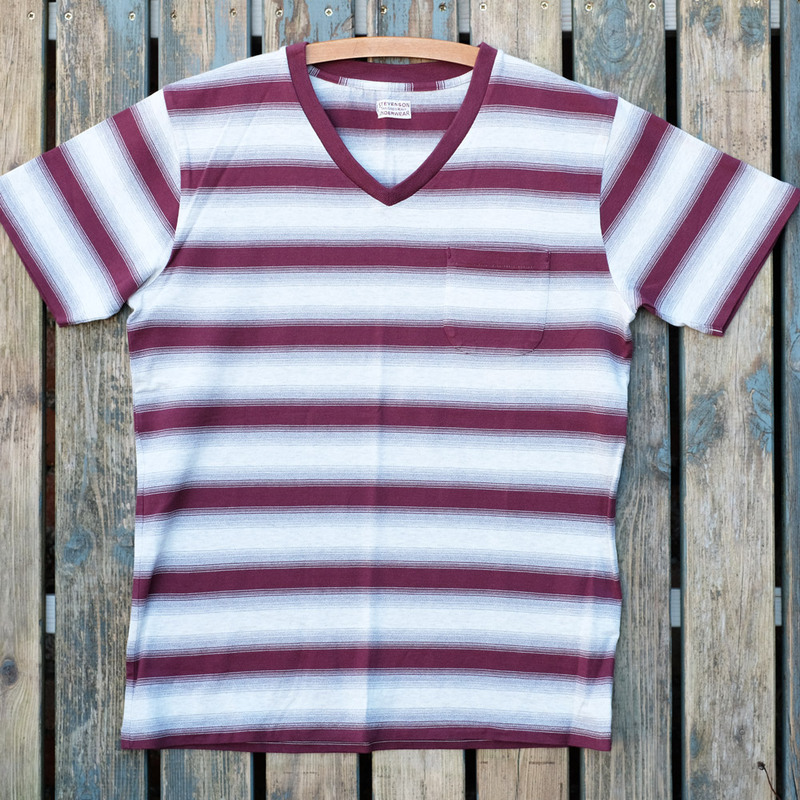 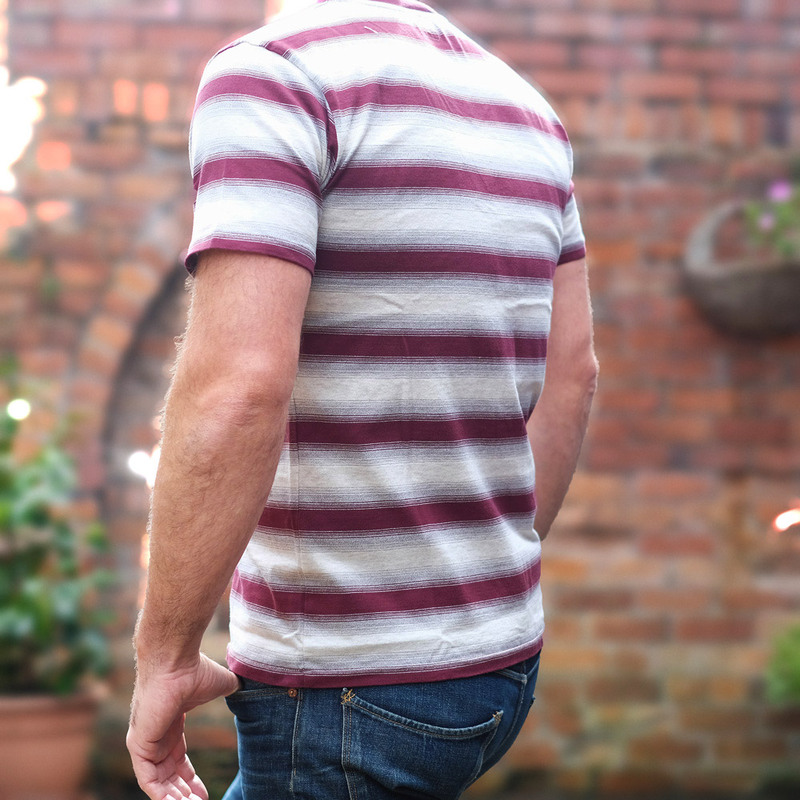 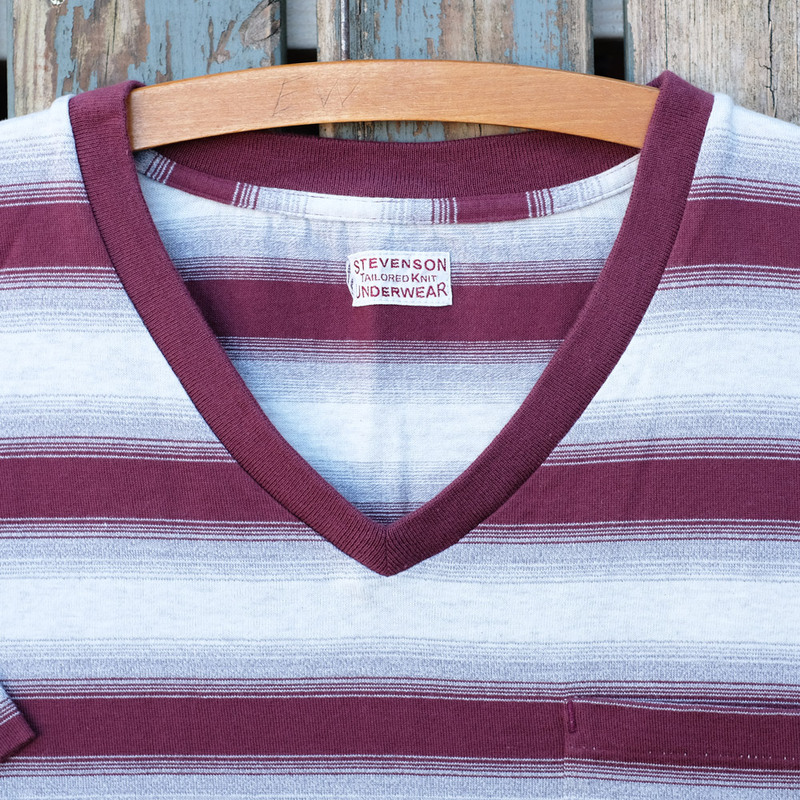 A classic retro inspired v-neck ombre stripe border t-shirt in a great weight for the warmer months or for layering in the cooler one’s. 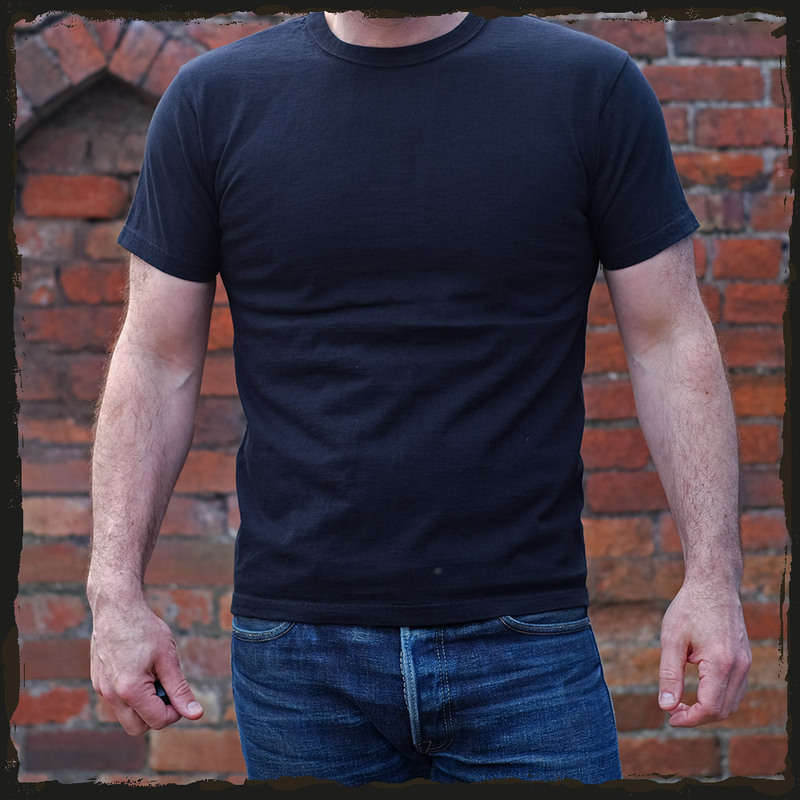 The fit is slim (size dependent of course) but due to the breathable material it doesn’t suffocate. 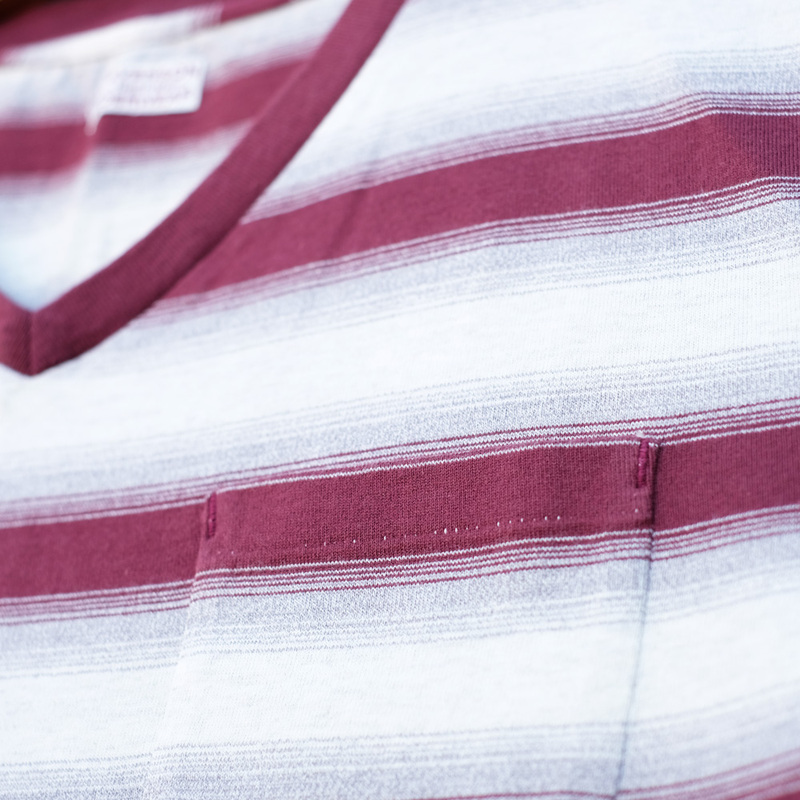 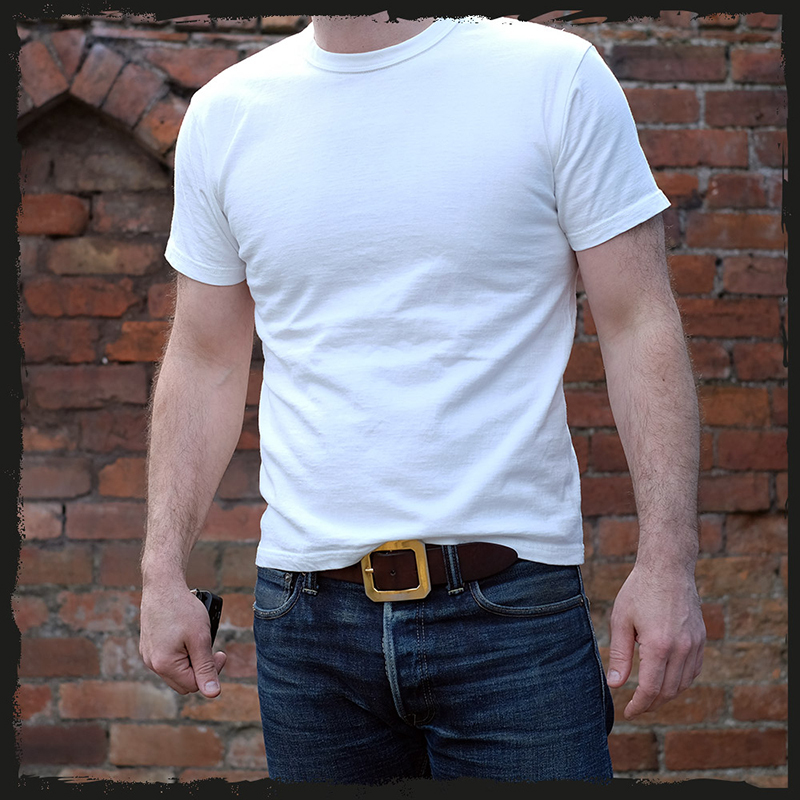 The fabric is a lighter weight with a slight stretchy feel to it with a double stitch ribbed neck band. 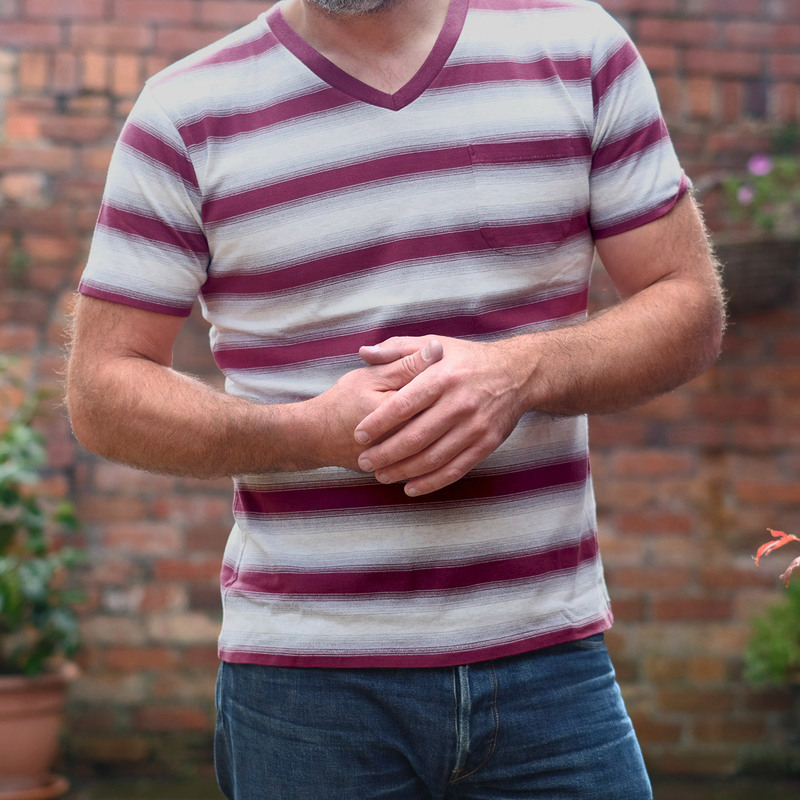 The “model” is wearing a LARGE and generally takes a medium/ 16 / 38-40 (occasionally large/ 40-42 in Japanese made clothing) in most tops and shirts.